Apple could soon begin selling iPods with pre-loaded music, after it was announced yesterday that it had finally put an end to its damaging trademark dispute with Apple Corps (The Beatles' record label). Until now, Apple Inc had been forbidden from trading in the music business, which ultimately prevented the company from bundling free music tracks with iPods. So now it's quite likely that new iPods in the future will come with free iTunes music. SanDisk and Microsoft already sell their MP3 players with pre-loaded music and videos, but Apple Inc's agreement with Apple Corps prevented them from running similar deals. 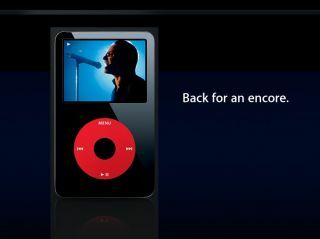 It also meant that the company was unable to bundle the U2 back catalogue with the special edition U2 iPod, for example. But it now looks likely that Apple could launch a series of new band-branded iPods which would come pre-loaded with all of that band's music, a deal that would benefit Apple, the bands and of course, the fans. The one thing that is clear is that the Apple peace agreement has forged a clear path for The Beatles to return to the top of the international music charts. The band's back catalogue has already been remastered ready for release online, but The Beatles' record label, Apple Corps, has yet to confirm an official download partner. Apple's Inc's Steve Jobs has made no secret of the fact that he wants the Fabs exclusively on iTunes. Commenting on the agreement, Jobs said: "We love the Beatles, and it has been painful being at odds with them over these trademarks. It feels great to resolve this in a positive manner, and in a way that should remove the potential of further disagreements in the future." During his Apple keynote in January, Jobs constantly referred to The Beatles during his iPhone presentation - he used tracks by the band as examples of the phone's iPod integration. Could we soon see a Beatles-branded iPod on the shelves?